It's Lady's Day! Leave the guy’s and kids at home! This is a WOMEN ONLY class focused on achieving the proper training, skills, and mindset for the North Carolina Concealed Carry Permit. Taught by a female Certified Firearms Instructor. 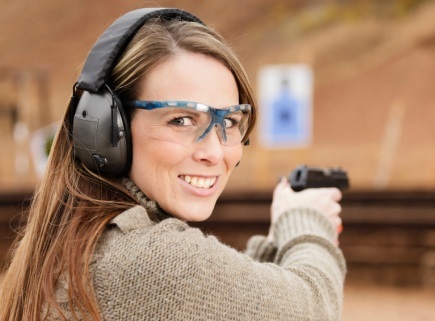 We highly suggest you attend the Women Only Beginner Pistol Class, Pistol 1: Beginner Pistol, or NRA Basics of Pistol Shooting course prior to attending this course if you are new to firearms or have limited experience. Women specific defense concepts, techniques, and holstering will be explored. This course is extremely focused on the justified use of a firearm - This is not a basic pistol course.